The Sanyuesan Festival, one of the most important traditional celebrations for several ethnic groups, especially the Li and Miao people, takes place on the third day of the third month of the lunar year. For most ethnic minorities, the celebration, which lasts for two to three days, is meant to worship their ancestors. Also, people of the Li ethnic group consider the festival as their traditional "Valentine's Day". A simplified Li wedding ceremony was staged in Lingshui Li Autonomous County. Young women and men in traditional costumes participated in singing and dancing performances during which the boys express love for their beloved girls. 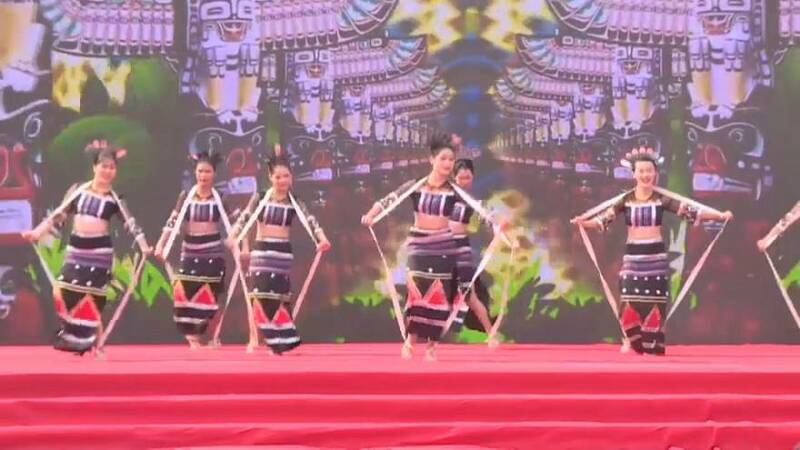 In Guangpo Town, a bamboo pole dance competition kicked off with skilled performers from various villages dancing gracefully to the rhythmic folk music. The folk activities were an eye-opener to many tourists who came to Hainan, and many of them danced with the local Li people. As the main venues of the event, Lingshui Li Autonomous County and Shuiman Township of Wuzhishan City held the festivities from April 6 to April 9, and 13 cities and counties in the province also held parallel sessions of activities to mark the traditional festival.